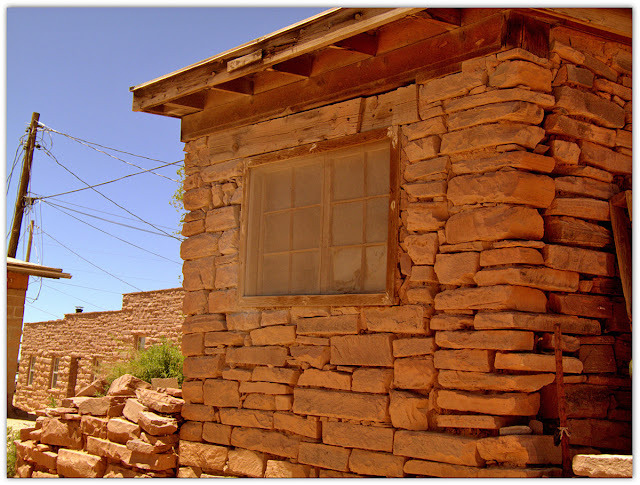 Keshshi – Hello in the Zuni language! I left El Morro National Monument this morning. 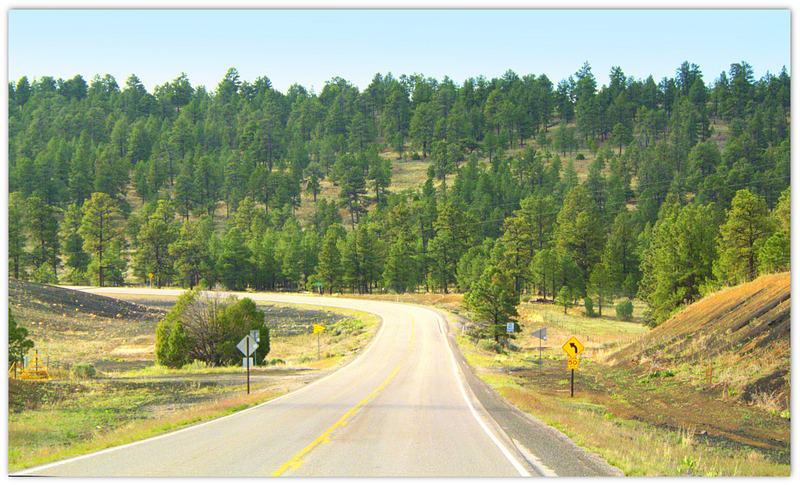 Almost immediately, the terrain changed to the big ponderosa pines, crossing the Continental Divide at 7,882 feet. I’m in Grants, NM in the McDonald’s parking lot taking advantage of the free internet while I can. I don’t know yet if I will have any kind of connection at the next site. This post will be wordy with few photos for reasons I will talk about below. I mentioned in the last post about El Morro National Monument that I had taken a little side trip. 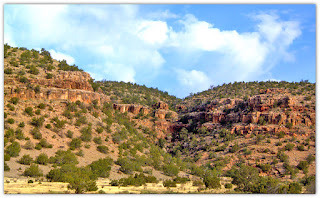 I actually had to back track about 40+ miles from El Morro because I hadn’t thought this out fully when I left Gallup. 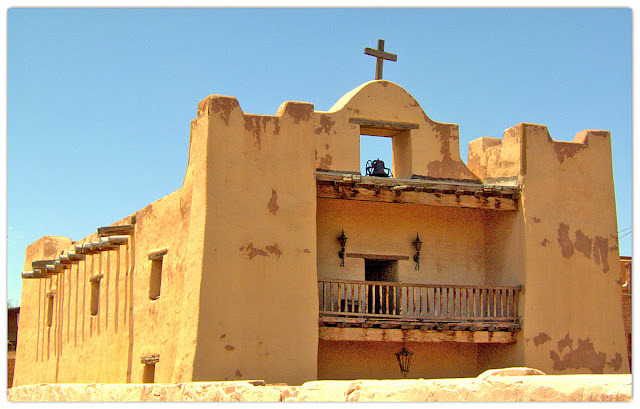 I started this post with the Zuni greeting, keshshi, a word I learned on the side trip to the Zuni Pueblo, just west of Rt. 602 which dead ends into Rt 53. 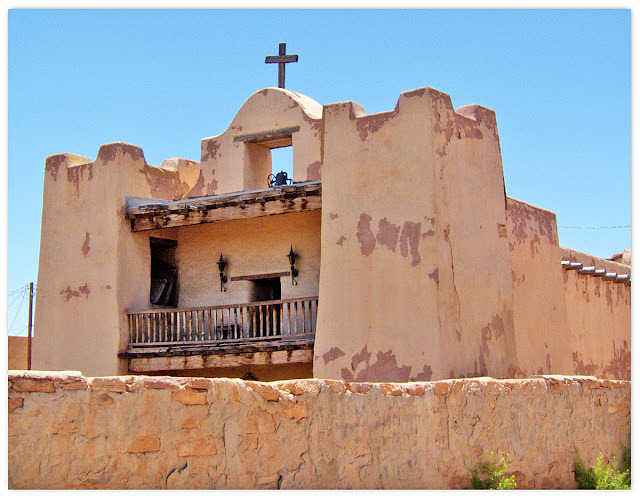 The Zuni Pueblo is the largest of New Mexico’s nineteen pueblos, with more than 600 square miles and a population of over 11,000. This is not a museum or theme park. It is an active community of residents’ daily lives and homes. Most of Zuni’s residents live in the main village along Rt. 53, which I visited, and also in the nearby suburb community of Blackrock. 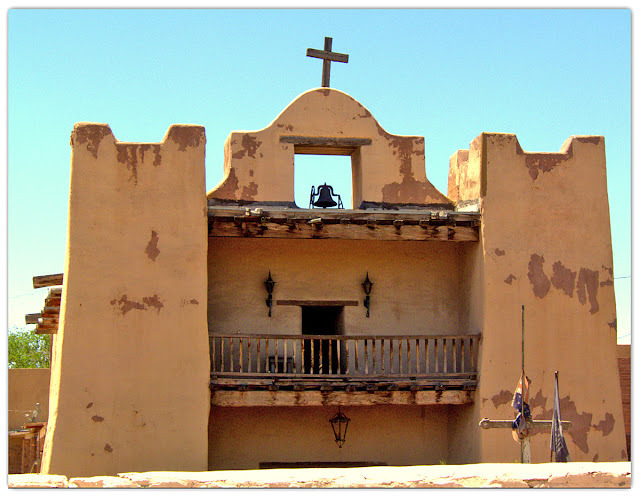 This area has been the Zuni’s home from time immemorial….though “documented history” begins with their so-called “discovery” by the Spanish Conquistador, Coronado in 1540. First on tap was checking in at the Zuni Visitors’ Center, mainly because if you are going to take photographs, you must have a photo permit. A very nice young lady welcomed me and directed me to the many pamphlets, etc. about the area, in general, and I purchased the permit plus a guided tour of the Middle Village. Total - $20. You know by now, I don’t often spend money on “attractions”, but I knew this would be something unique and interesting. Plus, if you are caught taking photos of areas “off limits”, it’s not a good thing. The Zunis have their own law enforcement and governing system. The tour consists of the Middle Village which is a relatively small area of homes that sits above the grade of Rt. 53. There are only dirt pathways between the homes which are situated rather haphazardly. No pavement is for a reason….to preserve anything and everything which may lie beneath the surface from years and centuries before…leaving it just “as is” with no “digging” up to find relics. My guide (I was the only one on the tour) said she is always looking down as she walks through the village because old pottery shards show up every so often….and we did see a couple on our walk….but they are never to be picked up. There is little to no vegetation, i.e., trees/grass…just dirt and plants or flowers that one might grow in pots. This village cannot be photographed. The few photos I have here were by permission only from the guide. The homes here have been in the same families for generation after generation…hundreds and hundreds of years. They are never sold and are passed down to the females of the families, as they are the homes’ caretakers while the men are the primary income producers. Obviously, the homes can’t be the absolute originals that were there centuries ago. But, the foundations are. Over the many years, they have eroded and tumbled and have been rebuilt with handmade bricks…..
….and some rebuilt with an adobe/straw mixture. They have evolved to having windows of single-pane glass and now most have electricity, running water and sewer – and some have satellite services. (I had 4-5 bars of Verizon service in Zuni.) However, most are heated with wood stoves. The average winter temperature is High 48.4*/Low 17.9*. The average snowfall is 17.1”. A cluster of homes in the village were built around a very small “square” where all the traditional ceremonial events take place. I’m guessing it is no larger than 60’ square. The way it is situated, seating is above the square on the flat rooftops. Only the older women can sit on the main floor of the square. These events can be religious and/or ceremonial (i.e., the seasonal solstice celebrations). Photographs can NEVER be taken of these ceremonies within the square. The Zunis are very rich in their beliefs and customs. They are private and these ceremonies not meant to be shared with those not of their heritage. 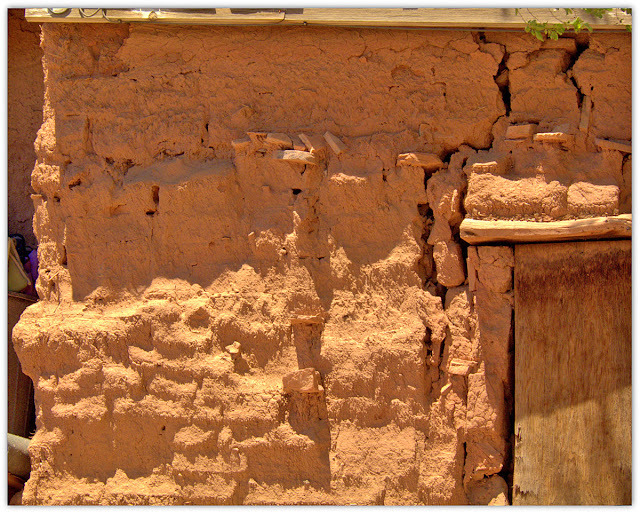 These homes are difficult to maintain…it is a constant battle against the elements to keep the adobe and bricks from deteriorating. Some homeowners are more focused on that than others….probably due to their level of income. 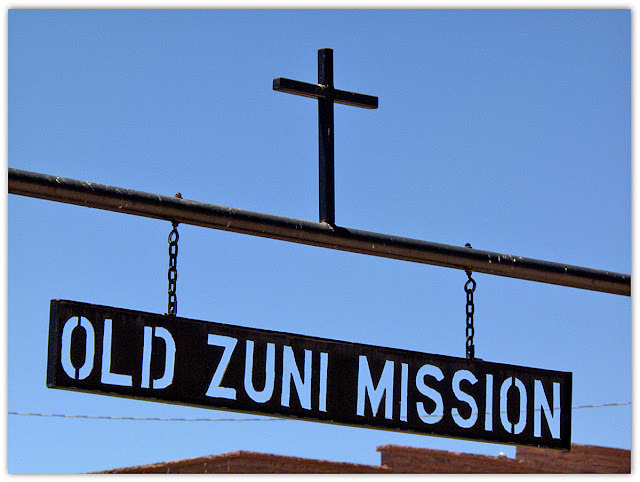 My observation of the area concluded that money is quite scarce…not only in the Middle Village, but almost everywhere in Zuni. I asked about “crime” in the area and her response was “alcoholism”. In our way of thinking that is a disease, not a crime. But their belief structure is so strongly against alcoholism and drugs, that they see it as a crime. She did say, however, that alcoholism has not gotten so bad that it has destroyed their culture as in many other Native American societies. Because creating art is the primary income source for the Zunis, I asked at what age do young people begin learning a craft. She said, “pre-teens”. She didn’t seem to have any fear that the chain of creativity would ever be broken. Many young people do “go off” to school, tho’. She was one of those but was not drawn into our American culture to the point of not returning to her roots. She said the majority of those who leave for further schooling, come back. An honored heritage, indeed! At the edge of the Middle Village, as we were headed out into the general area, I was allowed this shot of the back area of a home. It is in an ideal location as it overlooks the mission (more on that below) and the sacred mesa. 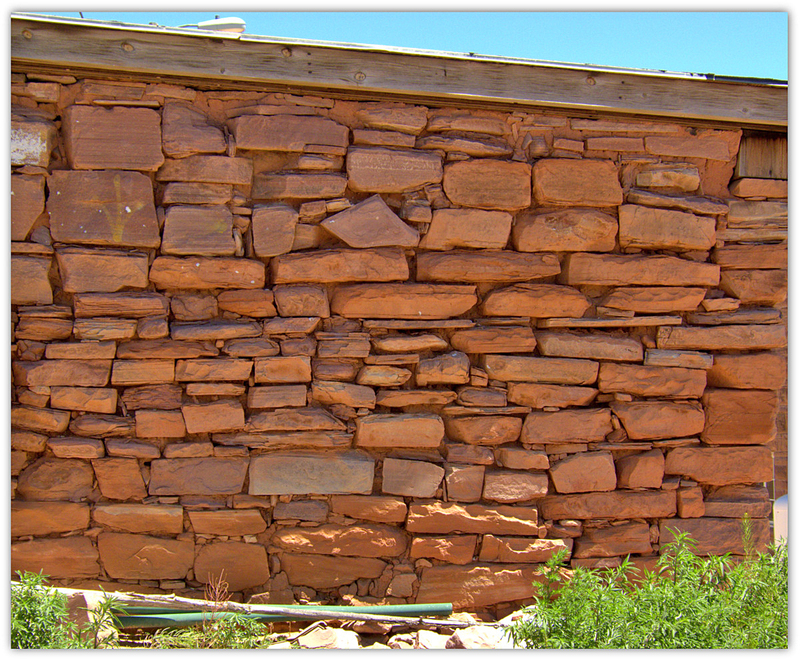 Along side this “backyard” area were three adobe ovens. These ovens are used to make the traditional Zuni sourdough bread and stews. If you know about sourdough bread, you know it is made with a “starter” which is routinely “fed” to keep its yeast properties alive. A small amount is then used for each batch of bread dough. The “starter” here is hundreds of years old and has been passed down and passed down over and over. The making of this bread is a way of life almost every day. Up to 25 loaves are made at any one time. Some are sold, but most are utilized within the family. Mostly juniper is used to heat the beehive ovens. Once the entire inside of the oven turns an ash color, it is ready for baking. Three are together so more than one food preparation can be going on at a time and are shared by close proximity neighbors. Breads in two, stews in one, for example. 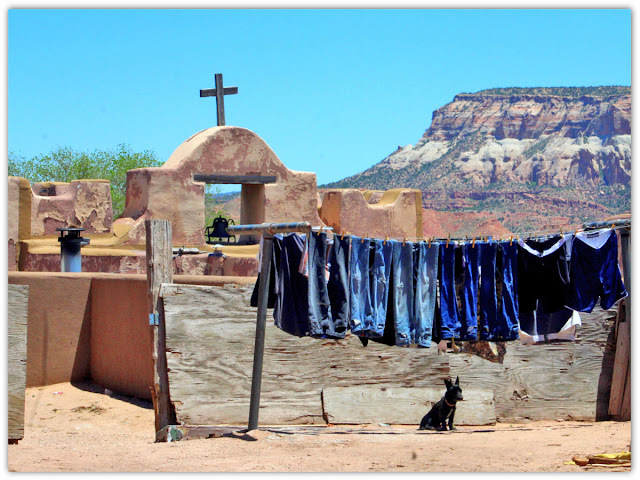 I saw many of these ovens in Zuni….even outside more “modern” homes. A real highlight of the walking tour was the Old Zuni Mission or Our Lady of Guadalupe Mission. Eventho’ the mission was restored in 1966, the ceiling is original. It is probably 20’ high – maybe higher. It was magnificent…made of huge hand-hewn structural logs spaced about 12’ apart with smaller wood pieces – maybe 4-5” in diameter placed in between to form a pattern. I don’t recall if she mentioned the type of wood, but to remain for centuries, I’m thinking cedar. Large, semi-ornate, iron chandeliers from Mexico were hanging from the ceiling. The temperature inside was considerably cooler than outdoors. The pews are simple, rustic wooden structures and the alter area is simply adorned with a few statues and other religious artifacts. But the main attraction is the hand painted (copyrighted) murals. These murals were created by the late, well-known Zuni artist, Alex Seowtewa, who passed away just last year, and his sons, Gerald and Ken, over a period of 35 years. Their talent is AMAZING! Alex began his "labor or love" in 1970. The murals are on the both sides of the mission walls starting about 12’ up both walls and depict each of the four seasons’ solstice ceremonies. The figures, or Katchinas, are clothed in the traditional ceremonial costumes in very intricate and colorful detail and show movement as if they are dancing. Each figure looked to be life size or larger…and there were probably 25 altogether. I can easily say I haven’t seen such fabulous paintings in a long time! I was allowed in the choir loft and seeing the murals and mission floor from that perspective is quite memorable. There is a cemetery directly in front of the mission, inside the walls, but again, no photos allowed. Only people of “notoriety” can be buried in the Mission cemetery. I noticed two fresh gravesites. It is also haphazard in its layout of plots and is not kept up very well with weeds and grass sprouting up throughout. The Zunis do not utilized caskets. They wrap the deceased in a handmade blanket and lay them to rest….giving them back to the earth in the most natural of ways. This ended the tour. My guide has only been “on the job” for a little less than three months but was extremely knowledgeable and obviously very proud of her ancestral heritage. I do not believe there would have been a question she couldn’t have answered….and in great detail. I didn’t go into any retail shops, but saw very beautiful examples of the silver jewelry, stone fetishes and pottery by vendors who had set up a few outdoor tables here and there, with only a few pieces on each table. They are not mass produced pieces of art. If you like this style of handmade art, you cannot beat the prices. They do not want you to walk away empty handed so there is a wiggle room from their initial offer. However, even at the starting prices, the prices are good! And the pieces are expertly crafted. The Zunis are friendly, creative, reserved and proud people. They have continued their age-old traditions despite being in an ever-evolving technical and progressive world. I would love to see one of their ceremonial events which are open to the public at certain times of the year. On another note, I have missed listening to NPR over the past, almost one year of RVing. I finally broke down and bought a battery-operated radio at Radio Shack when I was in Gallup. You would be surprised how hard it is to find a radio that uses batteries! Anyway, it has very good reception. They only problem is listening to NPR from this location. About 75% of the commentary (except the hourly world news) is broadcast in native Navajo! The music ranges from country western, to Ella Fitzgerald, to the Batman Theme, to The Beatles, to Navajo chants. Pretty interesting! Ok – it’s a wrap for now! I don’t know if I will have internet access from my next stop, so I’ll see ya when I see ya! Elahkwa! Thank you for stopping by! VERY interesting! It's great there are still people who honor their past and don't want "outsiders" messing that up! Great insight into a different culture! Thanks! What a great side trip! I especially like the ovens! ! LOVE their inlaid turquoise! The mission sounds beautiful. You're seeing off the road sights and that's the beauty of the life style. Thanks for sharing with us! Thank you so much for this post. I am reading a novel set in a Zuni village (Dance Hall of the Dead, by Tony Hillerman) and wanted to see what one looked like. I appreciated your detailed description.